I did a bit of hunting when we discussed this before (I think Andy had spotted one on Ebay). As far as I was concerned, there were two candidates. The first is a Hillclimb, the Cote du Marchairuz, which was definitely going in 1963 (Clay Regazzioni's first recorded race) and ceased in the 90s, I think, to be recently revived as a non-timed historic vehicle hillclimb. The seconds was a local ski race. I favour the first, as the dial seems to show the roadsign at the Col, which would logically be the finish of a hill-climb. But I have no evidence whatsoever, it is pure conjecture. 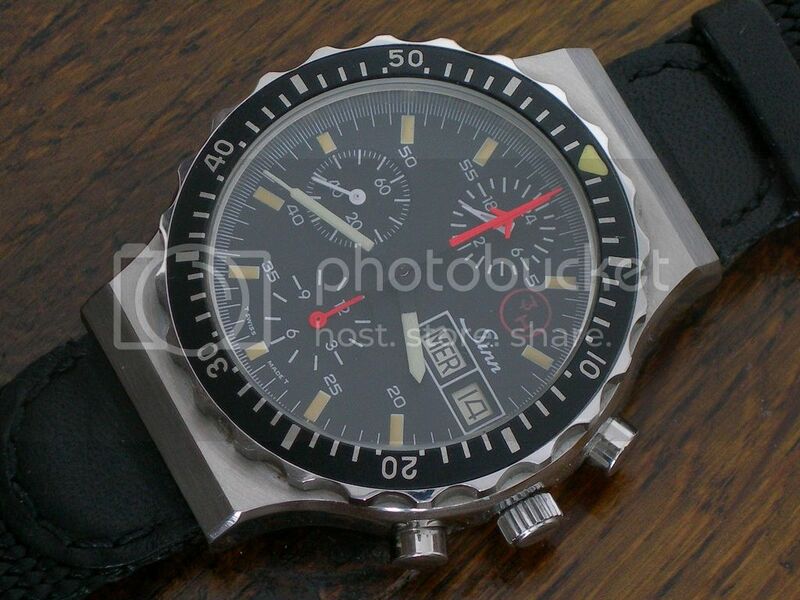 Nice watch by the way, I have always liked it, albeit with a vague dislike of the chamfered shrouded lugs, which are not its most elegant feature. 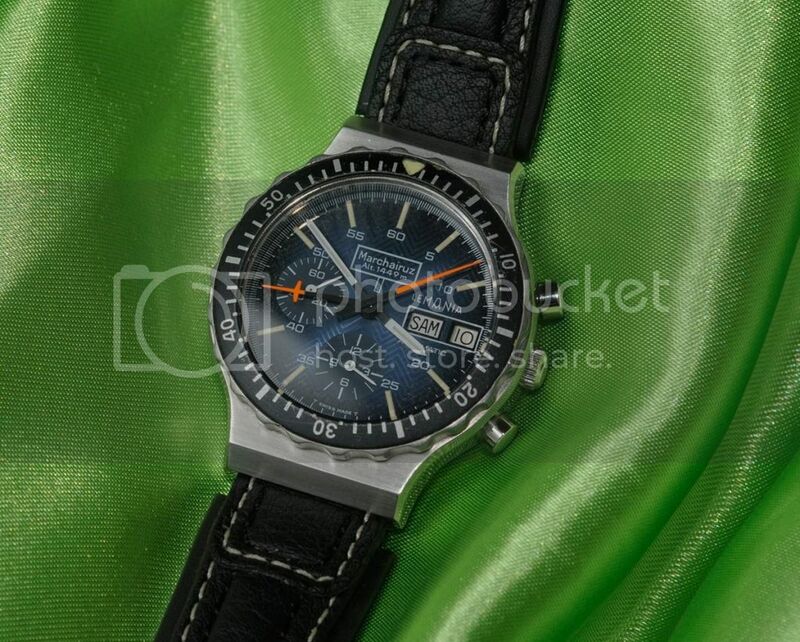 I really do like the blue herringbone dial. Last edited by DaveS; 16-03-2012 at 21:50. Last edited by Pascal S; 16-03-2012 at 21:20. Hi Rega, first of all thanks for posting the pictures, it's good to see one in such detail. 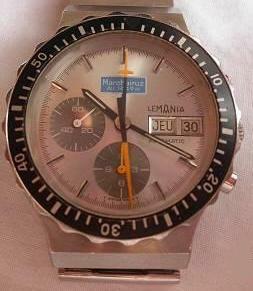 Feel free to start another post with your other Lemanias too, I'm sure they'd be of interest. I'm with Dave regarding the case being not a favourite, but it has some other interesting points which compensate I think, the great colour and herringbone pattern plus the unusual Marchairuz reference - of which I can't say any more on than Pascal and Dave - A mystery! Thanks for your thougts, to my mind the hill race theory is quite likely, but who knows? 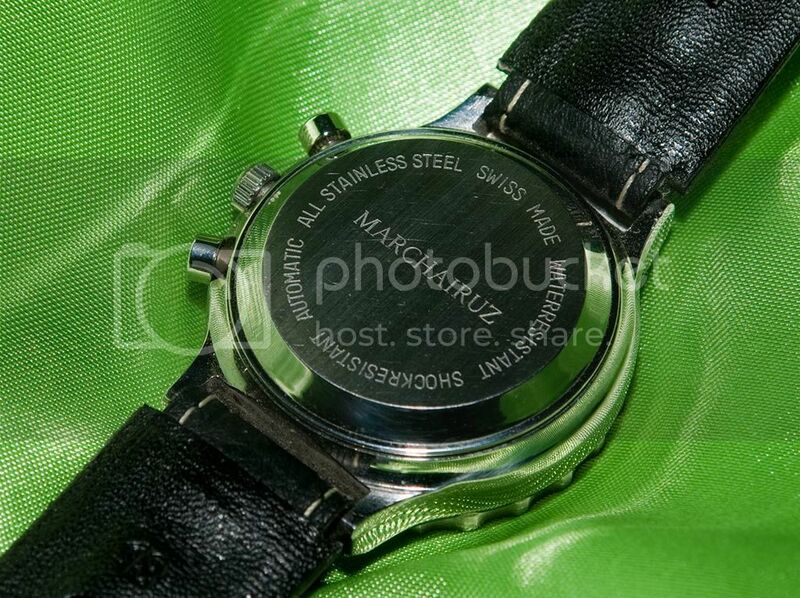 I will do a back shot with the engraving and probaply another wrist shot, that on is rather dark. I agree on the somehow weird case design, but on the other hand it is quite unique - and since i like it, everything is fine for me. 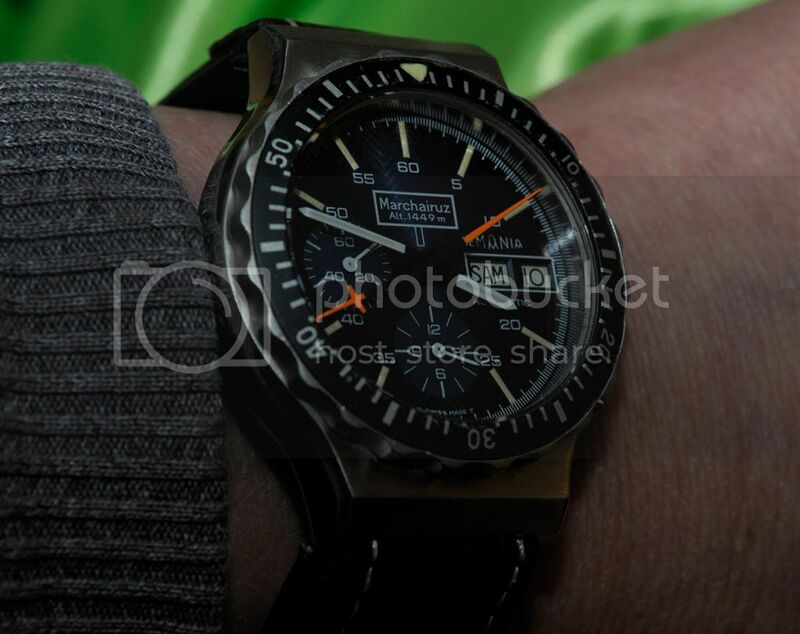 My other Lemania powered watches are quite common, however i will post a question about my Tissot Navigator later. Discussed here (German). 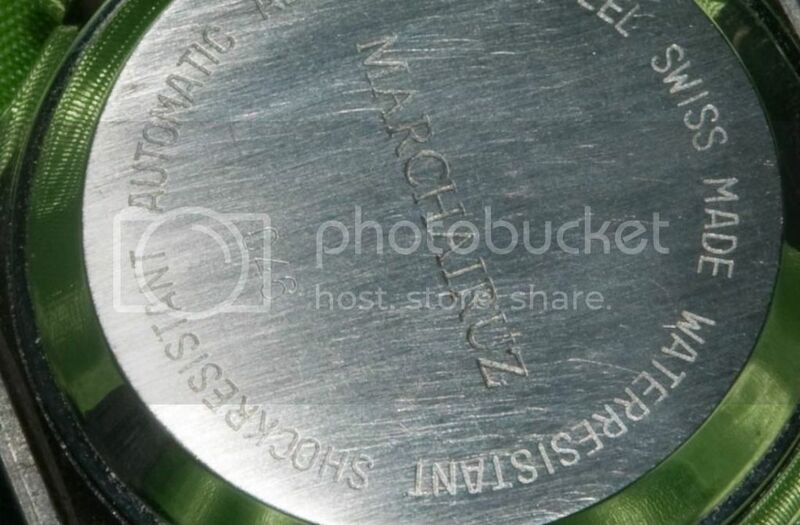 I like this one, too, but the 'Machrchairuz' at 12:00 in blue wasn't the best choice in my eyes. Very interesting - I certainly think you got the better looking of the two brothers. I notice the owner didn't tell whether there was a number on the back - it would be interesting. Last edited by Saturnin; 17-09-2013 at 08:31. I asked him about the number: yes, 0XX. Last edited by rega; 20-09-2013 at 14:19.